At age 17 DJ G-Kidd was opening at major venues Club Roxy, Jay-Z’s 40/40 Club, Club Avalon, and Club BLVD. Seven years later G-Kidd is the official DJ for Memphis Bleek of Roc-A-Fella Records and a Cognac D’ussé affiliate. 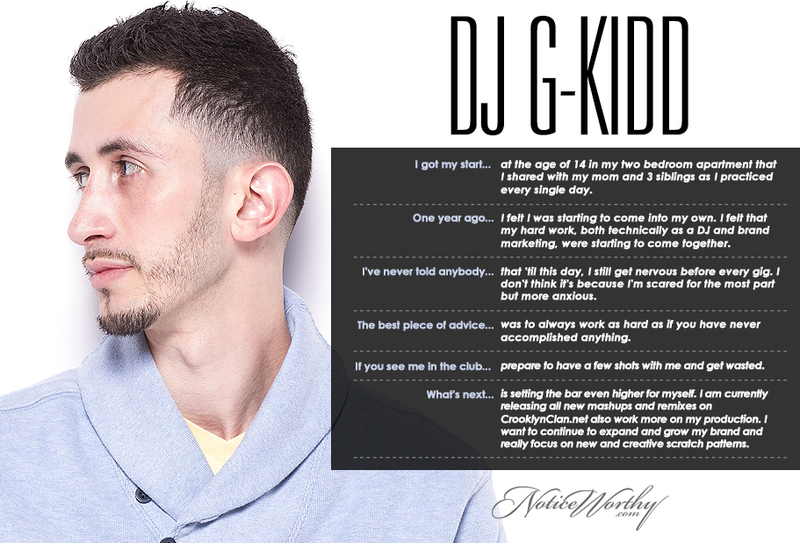 G-Kidd holds residencies in NY and NJ, while frequenting Atlantic City and Vegas, with a yearly detour to Miami's WMC.